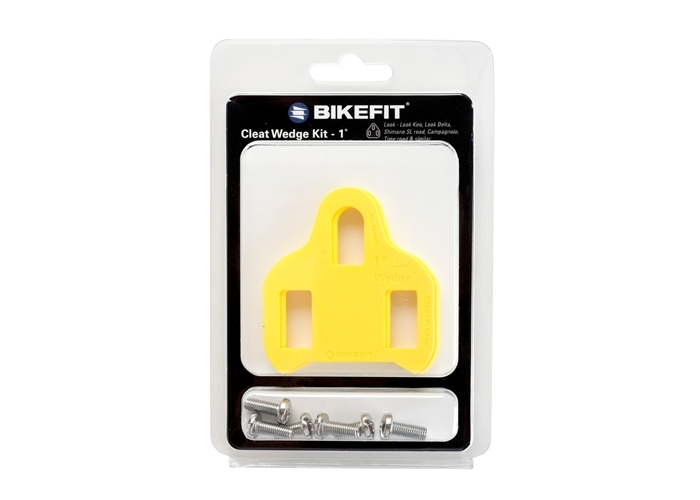 Look Cleat Wedges® improve alignment and solve common pain issues for most cyclists. Look/Shimano Cleat Wedges® work with Look Keo, Look Delta, Shimano SL road, Campagnolo, Time road and similar 3-hole cleat systems. Each Cleat Wedge provides 1° of tilt. The box includes eight (8) 3-hole Look Cleat Wedges, two (2) 12 mm and four (4) 14 mm screws. Installation instructions can be downloaded below. The 3-hole system is also known as the Look-style system (for the pioneering manufacturer/brand, Look Cycles). The 3-hole system is most often used for road cycling because it offers a stable platform for energy transfer while riding. The soles of many performance oriented shoes are often made more for riding than walking with stiff soles and little tread. 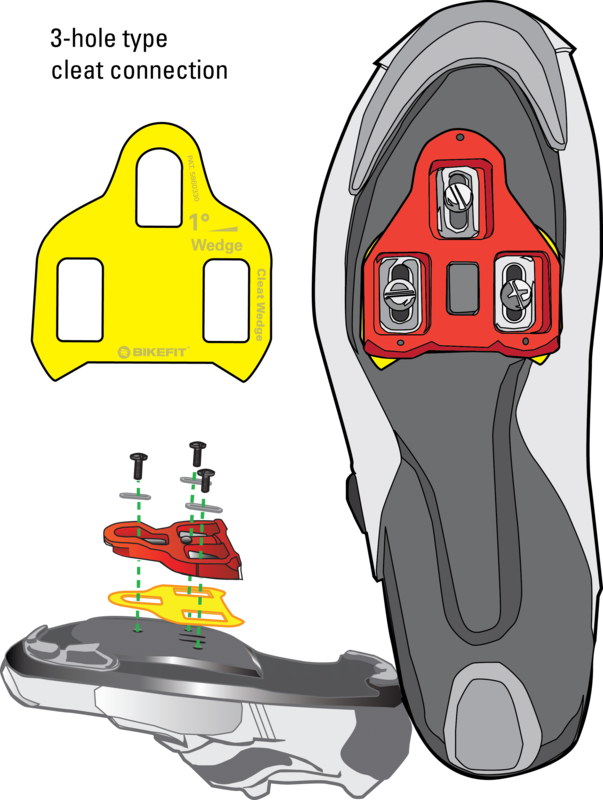 The larger cleat design incorporates a three-fastener connection, which is much more secure connection than the 2-hole type. Popular brand names of 3-hole cleats are; Look ®, Shimano SL, Time ® Road and others. I have been suffering from "hot foot" for the past many years which was irritating, if not delibtating at times. After "fine tunning" the numbering of wedges I needed, it finally put an end to that unpleasant episode. I can actually feel that the force on the contact patches of my feet with the pedals are now evenly applied and much more comfortable. The downside is the package comes only with the Look screws, not the SPD-SL flat top hex screws which I prefer.